Even though all our devices are slowly being rolled into one (Apple and Tesla met to talk about an ICar, people!) we have more to remember than ever before. Forgive me for starting another battle in the Parents vs. Child-free by Choice war, but when you have kids (and a body part that rhymes with bulva - yep, started yet another battle) the amount of stuff you are trying to remember to keep everyone not just comfortable, but ALIVE, goes up if not exponentially, than big-time. Gradually you start doing things that only someone with severely impaired brain function would do, like wearing two different shoes, or misplacing your keys several times a day. 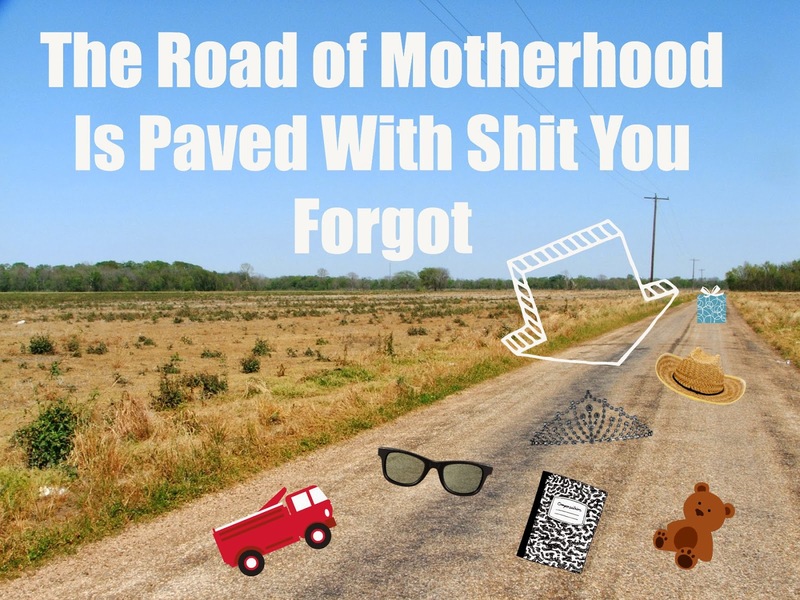 And that's in addition to doozies like forgetting to put more diapers in the diaper bag the day the baby has a Code Red blowout, or getting stuck in make-Mother-Theresa-curse-level traffic when your menu of distracting snacks was left on the kitchen counter. You think about getting more sleep, taking gingko biloba or playing some intellect-strengthening games online, before realizing how uber stupid that is. It's simple math. The more you stuff have to remember, the more likely you are to forget something. And it's not over when your kids crawl out of that baby stage. Diapers, sippy cups and wipes are replaced by electronic devices and gear for swimming, ballet, soccer, t-ball, school, and every other activity known to the affluent suburbs. And, of course, you have to remember to take kids places, and to actually pick them up. Which can be a problem in itself. It seems that no motherhood journey is complete without at least once forgetting a whole HUMAN BEING. Today I'm at BonBon Break telling my dear friend Nicole's tale of a botched pick-up. What about you? What's your pick-up story?